It’s been months since Nintendo gave us a heaping first taste of its latest console, the Nintendo Switch. The device formerly known as the NX may have caught our attention with an iron grip with its combination handheld/console design, but the reveal left us with more questions than answers. How much will it cost? What kind of games will launch alongside it? What’s the battery life on it? Is that a new Mario game we saw in the reveal video? We may not have all our queries answered before the Switch’s expected March release, but Nintendo announced a special live presentation this Thursday, January 12 at 8pm PST/11pm EST to shed a little extra light on the upcoming console. A special Treehouse Live will also air the following morning at 6:30am PST/9:30am EST, giving viewers a more detailed look at some of the Switch’s upcoming games. Sure, it’s probably smarter to keep expectations in check, but it’s waaay more fun to cobble up a wishlist of how Nintendo could make the best possible sell for its new console. If anything is almost assuredly going to be announced during Nintendo’s Switch event this Thursday, it’s going to be a price. Speculation has been rampant on how much the Switch will set buyers back since its original announcement and if the reports are right, Nintendo will be semi-merciful on our wallets. 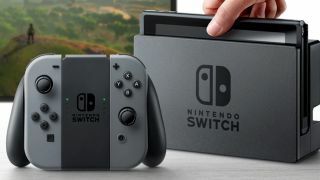 Multiple sources put chips down on the Nintendo Switch's price being around $249/£200 (around AU$330) - a figure that’s in line with the competition and especially reasonable for early adopters. Of course, we won’t know the for-realsies pricing until Nintendo gives us the word, but so long as it doesn’t imitate the PlayStation 3’s absurd asking price, our savings probably won't jump ship. Nintendo’s decision to go with cartridges over discs means more space on our shelves, but we also hope the company doesn’t also skimp on space on the Switch. For those who love their digital libraries, storage reigns supreme. Even more powerful consoles like the Xbox One and PS4 can stumble at this, providing barely enough hard drive space for a smattering assortment of downloaded games. Reports claim the Switch will come with 32GB of storage, with another version potentially offering more space at a higher price. It seems the Switch may also support expandable microSD storage up to 128GB, which is ideal but still worrying when you remember that AAA games like last year’s DOOM can hog up to 50GB of space. If the Switch does wind up with just 32GB of internal storage, it won’t be the end of the world for those who will only need the space for the odd downloadable add-on, Virtual Console game, and save data. We understand Nintendo is cagey about the internet. We also agree that the digital world can be bewildering at times. For those reasons, we get that Nintendo's rudimentary Friend Codes exist in lieu of normal internet profiles to keep its online services family-friendly. However, especially as Nintendo is mid-stride into its transition into the smartphone gaming, it’s high time the company modernizes - or at least consolidates - its take on how we play and shop online via our gaming machines. That’s not to say Nintendo should gun to be the next Xbox Live or Battle.net, but rather that the company should make like a parent accepting that its children are growing up and loosen up on some of its more rigid policies, like relying on 12-digit codes just to pair up with some buddies online. The My Nintendo service - which rewards players with digital goodies - and the Nintendo Network are step in the right direction, but we hope to see the Switch usher in an era where players can keep their online purchases, game library, friends list, and account info consistent and accessible across one easy-to-use system. Oh, and while we're wishing: We'd love for the Switch to arrive without region-locking, should we have to deal with the import scene down the road. Just sayin'. One of the more contentious moments of “gameplay” during Nintendo’s initial Switch reveal was that of The Elder Scrolls V: Skyrim. As much as we enjoyed Bethesda’s open world RPG - and the prospect of playing it on the go - the reality is that Skyrim is a game originally released more than half a decade ago. Now, to be fair, we haven’t (yet) had confirmation that the Switch is planning on a port of Skyrim, though Bethesda has yet to outright deny it, either. Digression aside, the point is we hope Nintendo will pump the brakes a tad with old games on a new system. We saw this happen with the Wii U, which offered up ports of last-gen games like Deus Ex: Human Revolution and Batman: Arkham City while its current-gen competitors were pumping up for sequels like Deus Ex: Mankind Divided and Batman: Arkham Knight that the Wii U would never possess. Not a good look. Sure, a good handful of people will be swayed by ‘enhanced’ versions of old favorites, but considering that well over 23 million copies of Skyrim have been sold by this point already, there’s not exactly a ton of people left holding out for the Switch’s release to play it. Let’s face it: Nintendo’s last console was a bit of a whiff. Despite the disappointing sales of the Wii U, however, a number of great games came out for the system that we’d rather not leave to go down with the short-lived machine. Cultish exclusives like Splatoon, Bayonetta 2, and Tokyo Mirage Sessions #FE, absolutely deserve a second chance with a new audience, and could easily port over to the Switch as they aren’t too dependent on the Wii U’s proprietary Game Pad. Heck, we wouldn’t even mind repurchasing best-sellers like Mario Kart 8 if it meant being able to play it with friends on the go. There’s even whispers in the back row about Super Smash Bros. making a return on the Switch - which makes sense, given that the fan-favorite fighter is still going strong in dorm rooms and convention halls across the country in both its portable and console iterations. As we mentioned in the previous entry, we do want Nintendo to go light on republishing old games, but we’re willing to let a couple slide if it means reviving exclusives from the last generation that many might’ve missed out on, or are too fresh to necessitate a sequel. On one hand, we commend Nintendo for being one of a scant few game companies out there that go the extra mile to keep its backlog of classic games playable on modern hardware. On the other hand, Nintendo’s Virtual Console library has its fair share of frustrations and limitations. In short, hardware issues have made it so that only certain platforms from Nintendo’s past can play on Nintendo’s present. Instead, we’d love to see Nintendo put the supposed power of the Nintendo Switch to use by turning it into a one-stop shop for all things retro. It’s tricky work, but if there’s one company that has the backlog of classics and the emulation know-how to compete with the legally dubious alternatives out there, it’s Nintendo. A rumor may be a rumor, but murmurings of a full-fledged Pokemon game on the Nintendo Switch is the kind of wishful thinking we can get behind. Multiple reports claim Pokemon developer Game Freak is working on a third version of the recently released Pokemon Sun & Pokemon Moon, codenamed Pokemon Stars, and we're all about it. Should the tales be true, it could be a powerful combination. We may have our first ‘real’ Pokemon on a home console, while still retaining the ‘bring it over to a friend’s house to play’ social aspect that makes the series greaty thanks to the Switch’s portability. Despite our excitement at the proposition, we hope that Pokemon Stars is a little more than a port of the original Sun & Moon. As we mentioned earlier, it's better if Nintendo relies less on older games to sell the Switch, but we will totally make an exception for the first full-fledged Pokemon RPG on the big screen. Content with your 3DS? Here are the best games on the handheld.